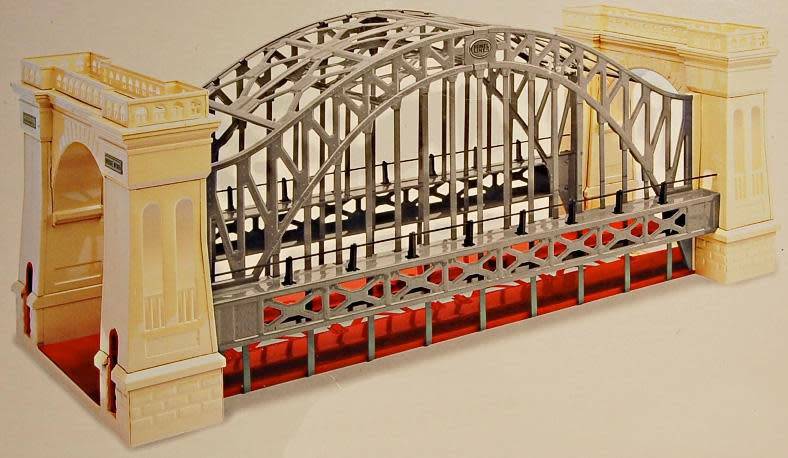 Lionel 32999 Hell Gate Bridge from the late 1990s. This all-metal monster is about 3 feet long and can accommodate two O Gauge tracks side-by-side or one Standard Gauge line. 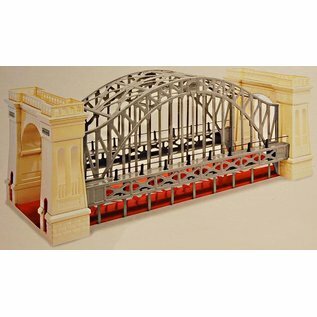 This bridge is a remake of the classic Lionel 300 from the 1920s and 30s, and this one is painted in the later Hell Gate scheme (red and silver).